Older Americans have historically voted at higher rates than younger Americans. During the 2014 midterm election, for example, only 12 percent of eligible college and university students between the ages of 18 and 21 voted. For the population as a whole, the rate was three times that rate, at 37 percent. 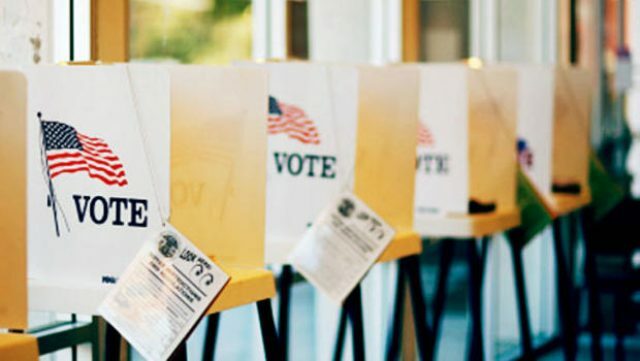 Voters attending college out-of-state are required to complete additional steps in order to cast their vote, further discouraging some students from getting to the polls on Election Day. Chad Crabtree, chairman of the Elkhart County Democratic Party, understands that people, especially college students, sometimes feel as if their vote doesn’t count. He encourages voters to cast their ballot by reminding them about the immediate impact of the election, especially locally. The voting machines in use are not connected to the internet, and precautions are taken to ensure the security of the machines and the ballots. Those who are interested are encouraged to become an Election Day poll worker and witness and safeguard the process firsthand. If you are currently residing in Indiana, but you are not an Indiana resident, you still have the opportunity to cast your ballot during the Nov. 6 election. There are four ways to cast an absentee vote: email, hand-delivered, fax or by postal mail. If you are a college student, you may only register to vote at one of two places: the address you live at while attending school, or the address you live at while not attending school. The deadline for your vote depends on how you decide to submit it. If you plan on mailing your ballot, it needed to be received by 11:59 p.m. on Monday, Oct. 29. To vote by travelling board, the ballot needs to be received by noon on Monday, Nov. 5. The travel board exists for those with disabilities or who need assistance marking their ballots. Absentee voting can also be done. General election absentee voting will end at noon on Monday, Nov. 5. As a first time voter in Indiana, you will be required to present documents at the polls in order to confirm your current residence. Acceptable forms include your Indiana Driver’s License or Indiana State Identification Card, any current and valid photo ID, a recent utility bill, a bank statement, a government check, a paycheck or another government document that shows your name and address. These are the poll locations for voting on Tuesday, Nov. 6.